You can protect your loved ones by protecting the information that you know. This is known in the military as, "Operational Security", or OpSEC. In this series of articles on "Becoming a Marine Parent", we've talked a little bit about privacy and respect, noting that both are important concepts to learn as the parent of a recruit. As your recruit nears graduation, the concept of Operational Security becomes just as important to understand. OpSEC is important to us as family members during recruit training because we need to understand it fully prior to our Marine going into the fleet. It includes many different levels, goes across all branches of the service, includes both stateside and overseas locations, and is important during peace time as well as during times of conflict. Simply put, sharing your Marine's job duties, expectations, dates, times, locations or other pertinent information is putting the safety of other Marines in danger. OpSEC is keeping potential adversaries from discovering critical Department of Defense information. As the name suggests, it protects US operations - planned, in progress and those completed. Success depends on secrecy and surprise, so the military can accomplish the mission more quickly and with less risk. Enemies of freedom want this information, and they are not just after the military member to get it. They want you, the family member. Help keep you, your Marine and our military personnel safe by not sharing any personal or military information in email or in any online environment including chat rooms, message boards and social networking websites such as twitter, facebook and myspace. We want the Official MarineParents.com Facebook groups to be a place for the loved ones of Marines to be able to interact and build life long friendships with each other. However, at the same time OPSEC rules and regulations must be followed to ensure the safety of our Marines. We have trained volunteers in our groups to ensure members are not violating OPSEC. Each of our Facebook groups are monitored differently. 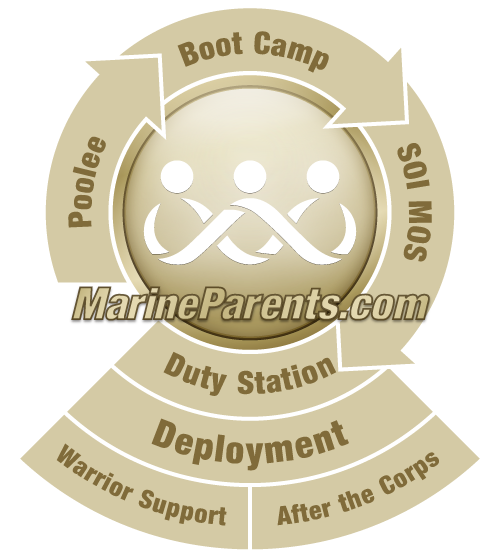 For example, the RTBN (Recruit Training), SOI (ITB/MOS), MoMs, and Marine Parents groups are contained. Containment means that all posts must be approved by an Admin or Moderator of the group. This policy is in place to ensure that no questions go unanswered. When a group is contained all comments on a thread will notify the creator of the thread as well as all volunteers tagged in the post. This allows for more structure when monitoring the groups. Our other groups are still monitored by volunteers and members should be mindful of what they post. Members who violate OPSEC in our Facebook groups will be immediately removed from the group. We are told to be careful about what we share and, if you are new to the military, it can be a scary thought... that something YOU share could have disastrous consequences to our military or other Americans. While during boot camp, your possession of intelligence is very limited - remember YOU are also in training - to become a strong, educated Marine loved one. Once your recruit hits the fleet, one slip could have far-reaching ramifications. Please take advantage of this opportunity to learn more about Operational Security and what you can do to keep us safe! *Note:It is acceptable for almost all MOS graduates to say what their job is. The only time it is not ok is if that job is a High Security Billet (HSB), such as Recon, Force Recon, MARSOC, Intel, Sniper, Scout Sniper, Presidential Guard Detail, FAST, JUMP, PSD, Embassy Security Group, or Anti-Terrorism Battalion. The majority of Military Occupational Specialties/billets are not high security, therefore permitting those Marines say what they are doing unless they are deployed and on a mission. For OPSEC reasons, we have never had support groups for Recon families. A Recon Marine would never want his parents or loved ones in any kind of a group that would identify them as a family member, both for the safety of the recon team and the family members/loved ones. It's just too dangerous.